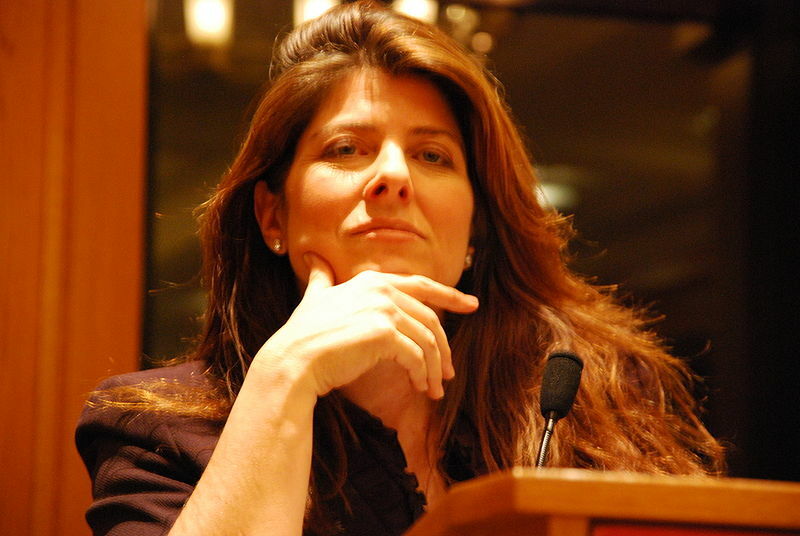 Professors blogg: Naomi Wolf: "The Shocking Truth About the Crackdown on Occupy"
Naomi Wolf: "The Shocking Truth About the Crackdown on Occupy"
We publize a new guest-article by columnist Naomi Wolf, American feminist and writer, spokesperson of the third wave of the feminist movement. Naomi is also a public supporter of the Wikileaks cause and she has demanded fairness towards the cause of the Wikileaks founder Julian Assange. Her critic to the legal procedures around the case of Sweden against Assange have caused much attention. "The Shocking Truth About the Crackdown on Occupy"
"So, when you connect the dots, properly understood, what happened this week is the first battle in a civil war; a civil war in which, for now, only one side is choosing violence. It is a battle in which members of Congress, with the collusion of the American president, sent violent, organised suppression against the people they are supposed to represent."